I hope you had a wonderful holiday weekend. The 4th of July is somewhat of a marker for me. After the festivities are over, we have a lot of long hot days to come. That means dinner is usually simple and hopefully doesn’t require turning on the oven. That’s where these Tarragon Tun Melts come in. 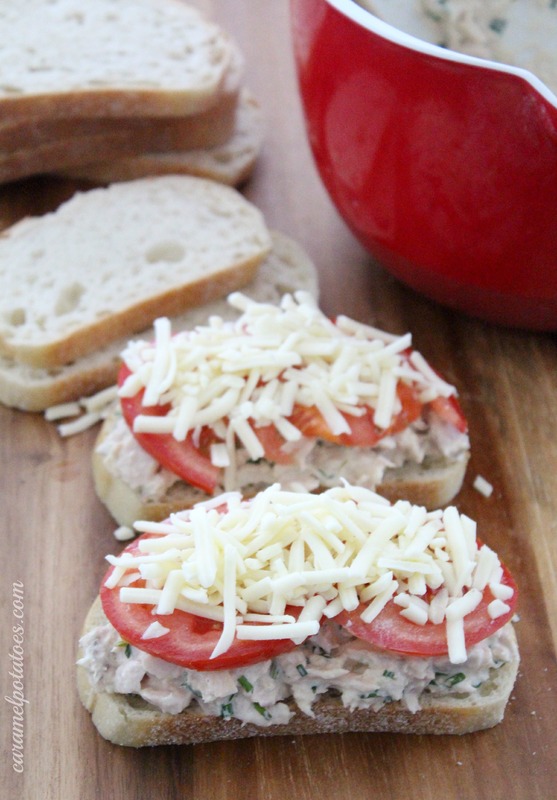 I love a good tuna sandwich for lunch, but once you add toasted bread and melted cheese you have a meal in my book; especially when it’s dressed up with fresh herbs (even better if they comes from your garden), tomatoes and cheese. 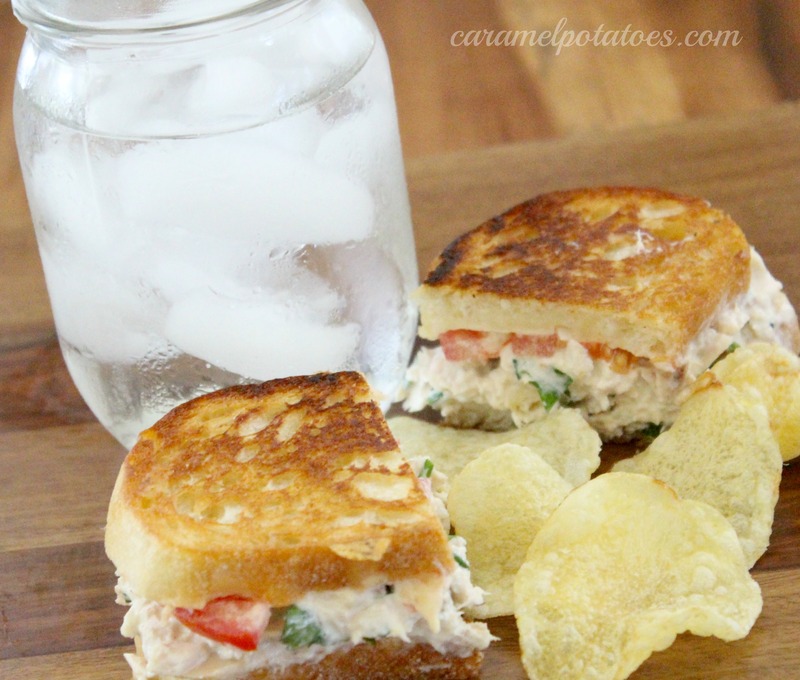 Serve your tuna melts with a fresh green salad or fruit and you have a delicious simple summer supper. In a medium bowl combine mayonnaise, parsley, chives, tarragon, lemon peel, lemon juice, mustard, and pepper; stir until well combined. Stir in tuna, breaking up any large pieces with a fork. Place 4 bread slices on work surface; evenly divide tuna mixture on bread slices. Top each with tomato and cheese. Spread one side of remaining bread slices with half the butter. Place bread slices, buttered side up, atop cheese. Place sandwiches, buttered side down, on a large nonstick griddle over medium heat. Carefully butter top bread slices. Cook sandwiches for 6 to 8 minutes or until cheese is melted and bread is golden, carefully turning once halfway through cooking. Serve warm. 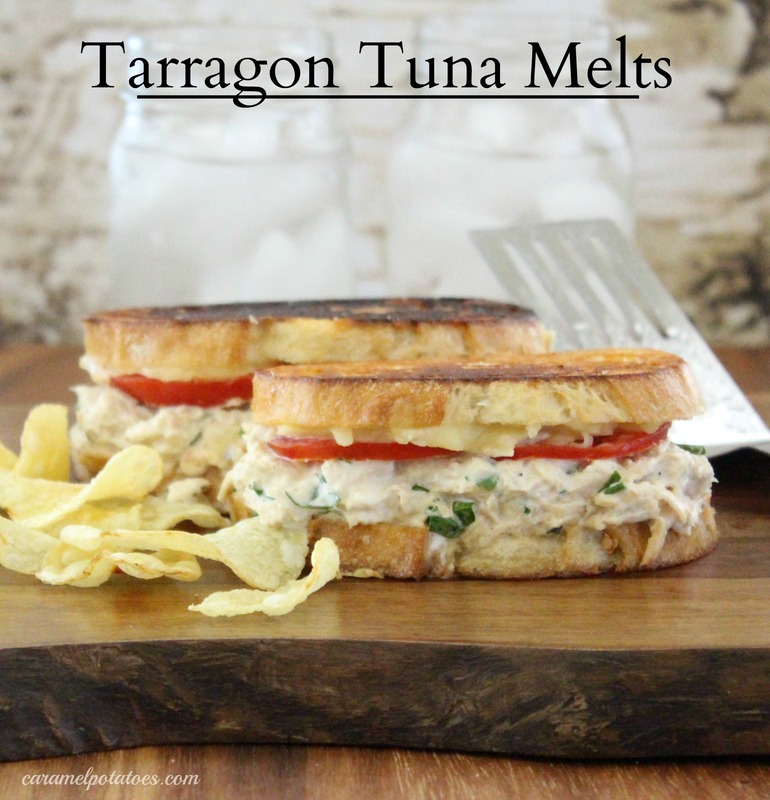 My mom use to make tuna melts on Saturday night. Fond memories. The tomato and herbs sound like a nice addition.